Hot Spring Guardian is a 3 Mana Cost Common Shaman Minion Elemental card from the Journey to Un'Goro set! Taunt Battlecry: Restore 3 Health. I just fear Elemental Shaman is a bit too strong. 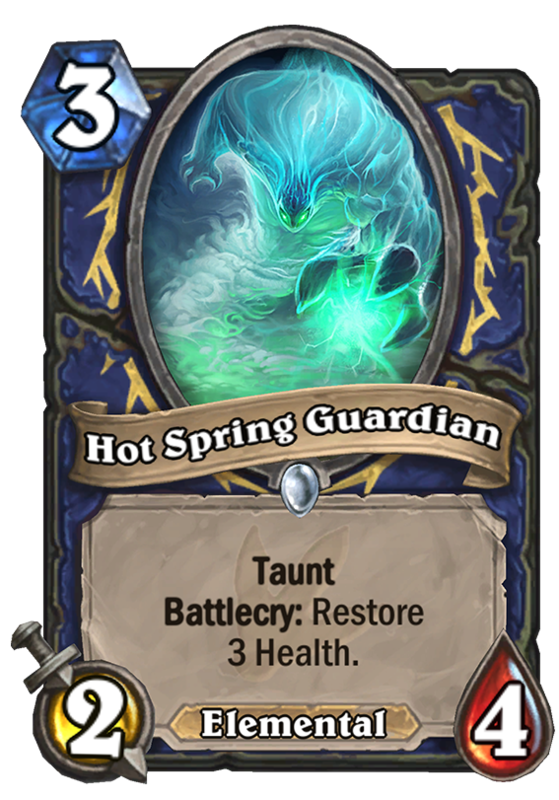 What is going to be Hot Spring Guardian’s favorite minion to heal? Seems solid. However I wouldn’t call IT too OP, but good indeed. and elemental synergy too, don’t forget. 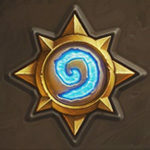 Shaman is going to be ridiculous. I mean, farseer and squirming tentacle combined in one? Amazing.